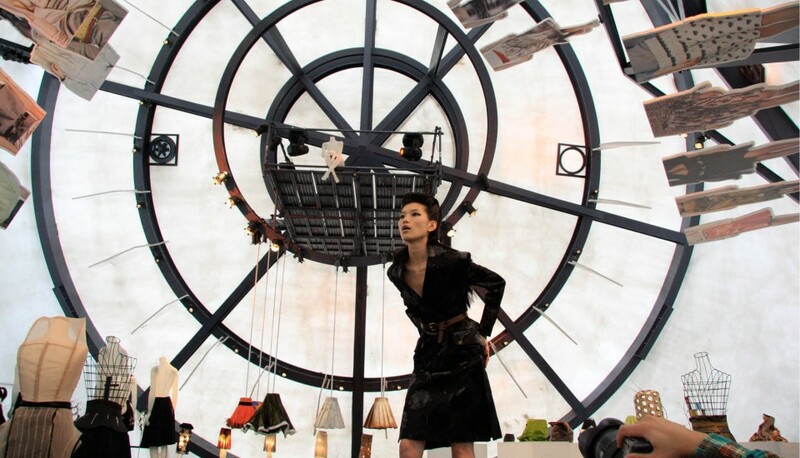 Prada Transformer is a pioneering temporary structure picked up by cranes and rotated to accommodate a variety of cultural events. 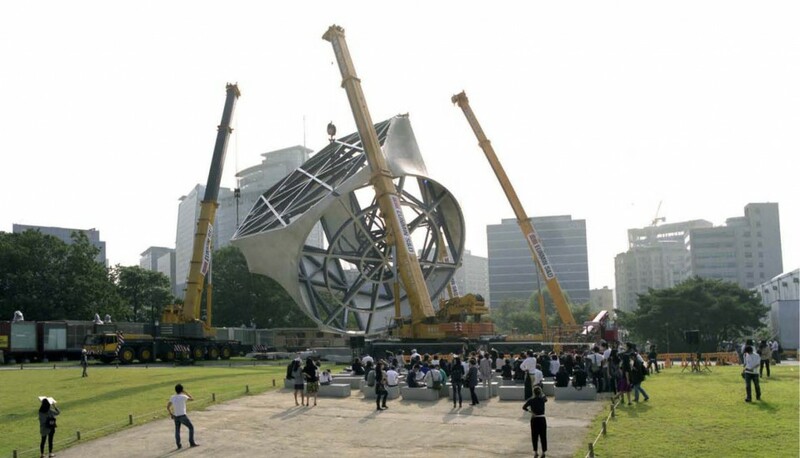 The 20-metre high Prada Transformer is located adjacent to the 16th Century Gyeonghui Palace in the centre of Seoul. 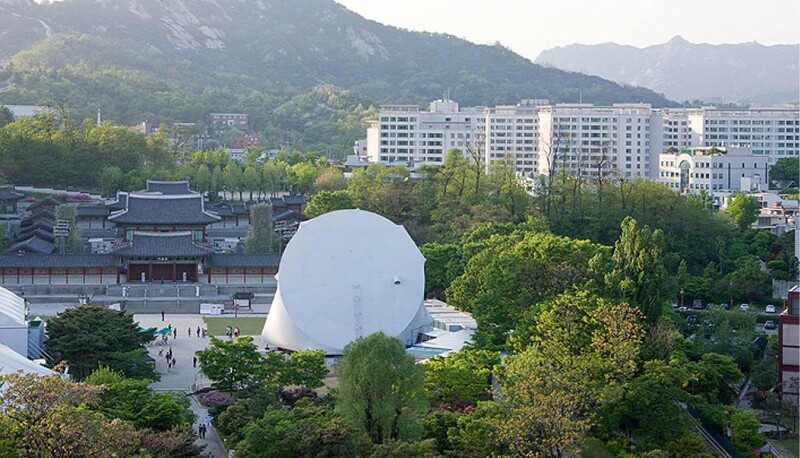 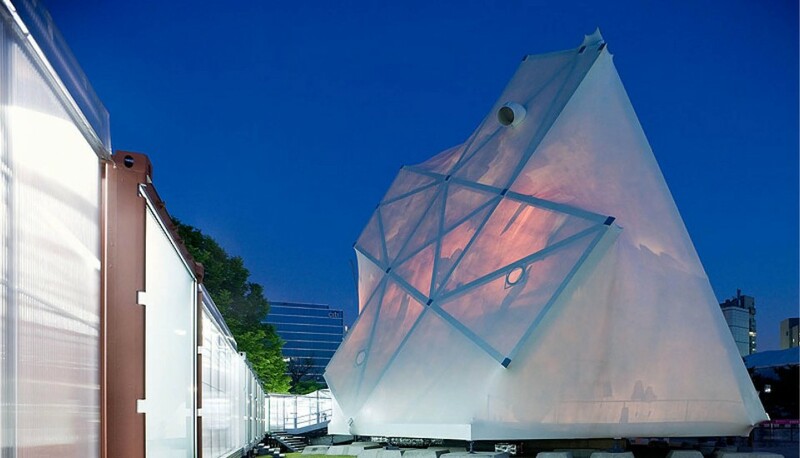 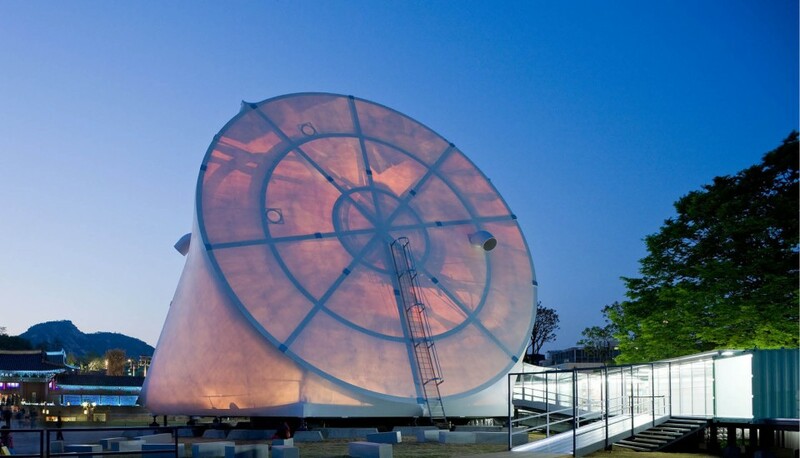 The pavilion consists of four basic geometric shapes – a circle, a cross, a hexagon, a rectangle – leaning together and wrapped in a translucent membrane.